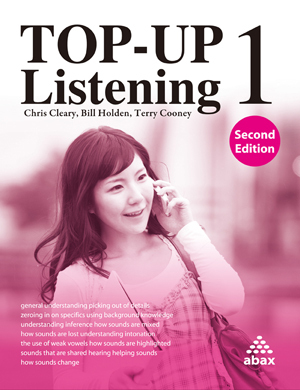 • by explicitly developing student knowledge of English conversation patterns or script—helping students with their top-down predictive skills. • by explicitly developing student knowledge of how English sounds change when spoken in sentences. Helping students understand English as it is actually spoken and helping students recognize language in "chunks." Whadaweemean? - how words run together, how sounds are lost, how vowels naturally weaken and entire words are dropped. Without knowledge of such patterns, listening is impossible. Lots of practice! Lots of variety! Lots of listening!